Establishing the fair value of your home is no longer a challenge. It’s enough to work with Appraisal Agency of Greenville, Inc. and you will have access to accurate numbers and a reliable pre-listing. Our professionals have the necessary knowledge of the local area and expertise in this field to perform a precise valuation of your house and deliver a trustworthy and correct appraisal report. This will be useful in your Negotiation with the buyers and act as proof and foundation for your asking price. Moreover, getting an appraisal of your real estate before putting your house on the market will help you discover any possible problems, and finding out if there’s room for improvement, to increase the value of your property. Let us help you ask the right price for your house. Contact our experts and valuate your real estate. Since we don’t have anything to win from the sale of your house, you can expect an impartial and precise pre-listing. 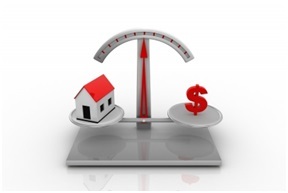 Both you and your realtor will benefit from the valuation assessment of our experts. Get in touch with Appraisal Agency of Greenville, Inc. and make an informed decision when selling your house.